A wine bottle mockup for the ages. 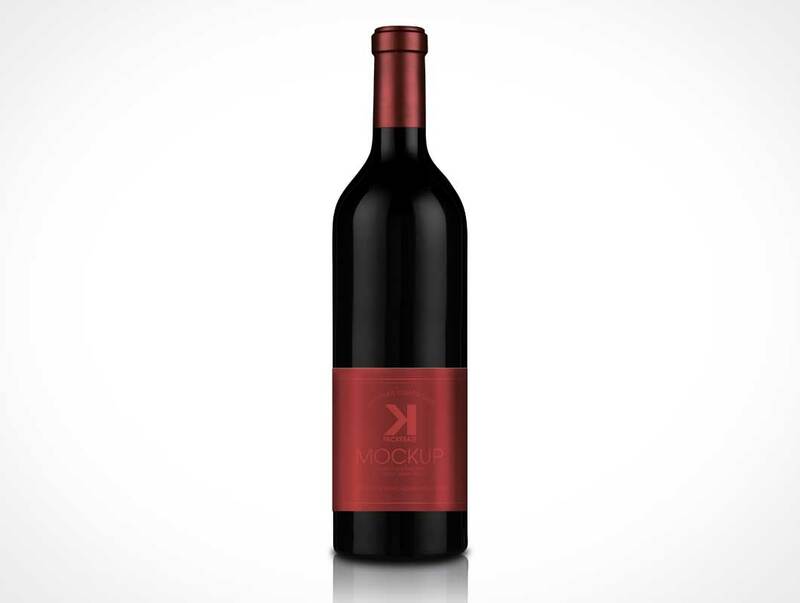 This Photoshop template showcases your design on a near-silhouette mockup of a red bordeaux bottle. This PSD Mockup presents the product standing tall on a flat, featureless surface with no background. A smart object layer is provided to easily add your design to the label area, the cap and neck area must be branded manually by the designer. The background around the bottle is transparent but the bottle itself is not — anything placed behind this mockup will not be visible.